Our projects span from luxury condos to historic row houses to 20,000 square foot estate homes to branded commercial spaces. We are well-versed in new construction, renovations, and furniture planning. We listen well and take care of all of the details. Our firm is full-service and can support the project from before the ground is broken to the moment the last piece of artwork is hung. We take pride in our ability to thoroughly manage the many moving parts associated with the design process so that we can provide a great concept without dominating our clients’ time. Our time-saving project management systems include procurement and they support our clientele’s often demanding schedules. We are also adept at collaborating with architect and builder partners to execute an extraordinary designed space. The success of our design is based on complete personalization of our clients’ interiors. Our clients seek us out for highly individualized design. They appreciate our ability to provide something more rare, tailored, and custom. 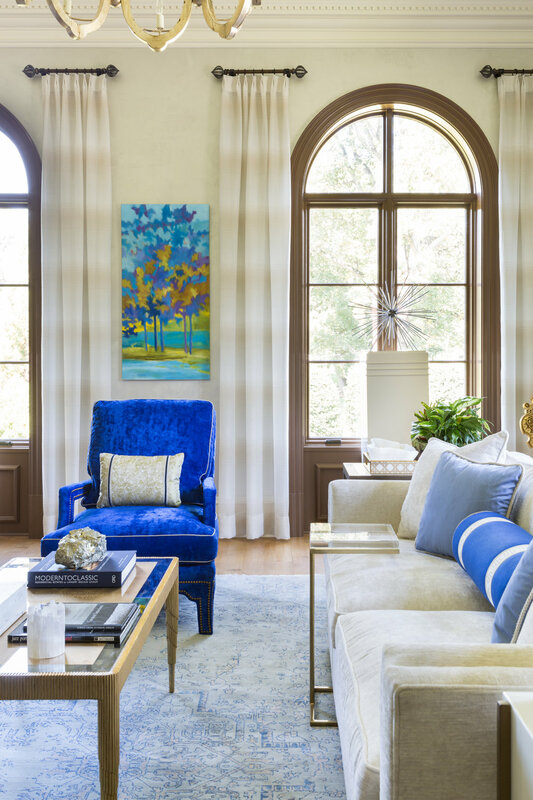 From classic neo-traditional to clean contemporary spaces to coastal homes to vibrantly-colored interiors, our goal is to create an interior that is the truest reflection of our client’s personality, style and brand. LGID is fully insured and holds multiple licenses, including NCIDQ, arguably the most rigorous certification in the interior design profession. Capitalizing on Lorna's extensive knowledge in brand management, LGID creates well-branded interiors that signify your company's essence. Staff and visitors are immersed in and fully experience your brand. Lorna Gross Interior Design is versed on health and safety codes and is NCIDQ and MBE certified. Property types include hospitality (hotels & restaurants), business offices, salons, multi-family, and high-end retail spaces.